This is Van Gogh named for the Starry Night painting he reminds be of. 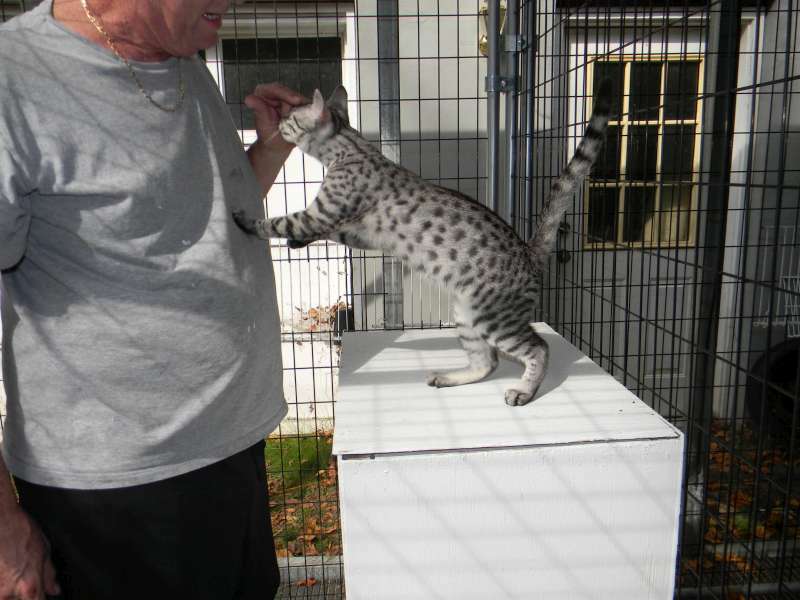 He is our new Sire from Jewelsnile Cattery in Canada. This is Van Gogh our new soon to be Sire/King/Stud from Jewelsnile Cattery in Canada. 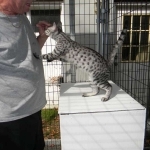 He is a fabulously spotted boy with a superior sweet Mau disposition. He is sure to make wonderful kittens for the 2013 kitten season.